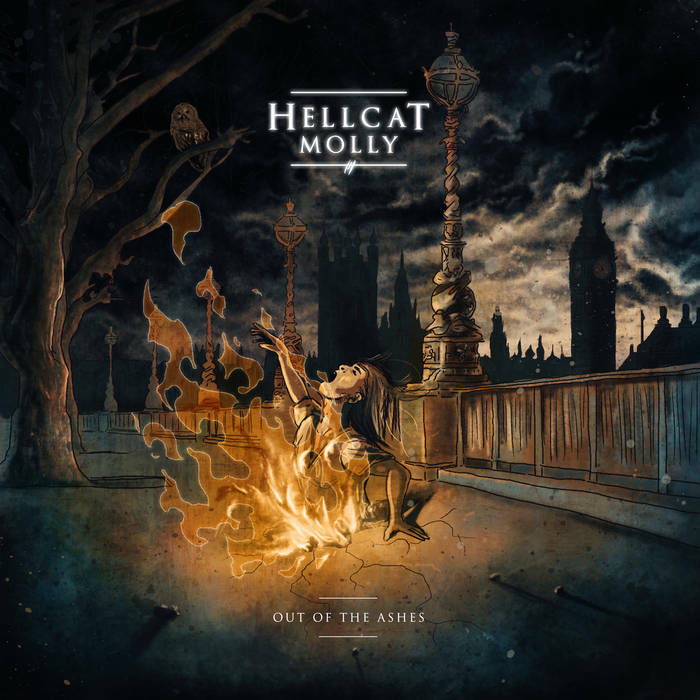 Levi Clay has been one of Britain's most highly touted guitarists for years now, and fans of all ages have been waiting for years for him to release a record with his quasi-legendary group Hellcat Molly. We sit here now FINALLY able to listen to his brainchild - the charming, flashy, and gorgeously produced monolith that is Out Of The Ashes. Tastefully done, but clearly enamored with showing off the insane skill of the musicians involved, Out Of The Ashes sees some of the best composed hard rock that I've heard in a long time. At the end of the day - the main strengths out Out Of The Ashes come in the quality of the musicianship and the moments they are allowed to shine. As songwriters Clay and the Hellcat Molly boys are strong but I'm occasionally left wanting a bit more. Nevertheless, Out Of The Ashes is a regularly great listen worth many a spin for the solos alone. It gives you a lot to mull over and though it is far from my preferred pseudo-intellectual metal fare it certainly strikes me have a record that will get fists raising and bodies shaking. Find out more on Levi Clay's page on Facebook!